Integration Services enhance the ability of NSI to provide customers with a total solution from the simple to the complex. From the implementation of a basic tabletop Series 1 Base for semi-auto operation to a ‘lights out’ JAZZ Cell automated assembly platform we can provide a turn-key solution to meet our customers requirements. NSI has a long and proven history of custom automation solutions incorporating the gamut of assembly technologies used by world-class assemblers from large to small worldwide implementation. Basic Integration Services includes design and fabrication of Fixtures for a Series 1 Base. The Fixtures, typically used for locating a substrate for adhesive component placement, can include additional features such as special sensors or actuators for locating or verifying presence of the product. 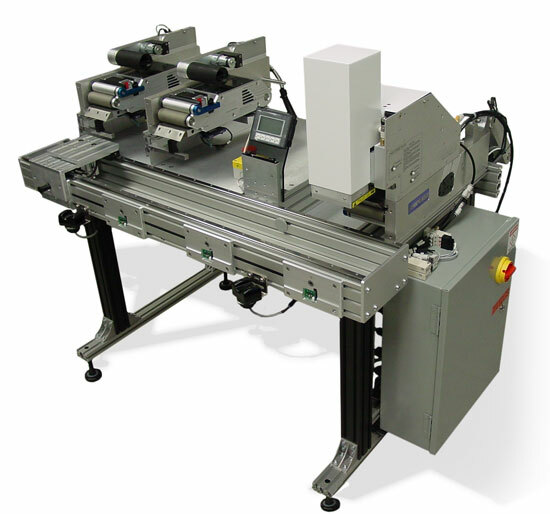 Also, multi-station indexers such as rotary indexers are another example of basic integration. More complex implementation includes use of a JAZZ Cell platform as a foundation, with integration of one or more PL100r Feed and Peel systems and a specialized part transfer system such as a conveyor, multi-axis robot, or specialized feeder units. For a list of custom solutions CLICK HERE. For details about our Series 1 Base CLICK HERE. For more information about JAZZ Cells CLICK HERE.